Gionee CTRL V4S is a dual SIM Android KitKat Smartphone with HotKnot technology. Gionee CTRL V4S has 4.5 inch IPS display and is powered by 1.3GHz quad core processor along with 1GB RAM. 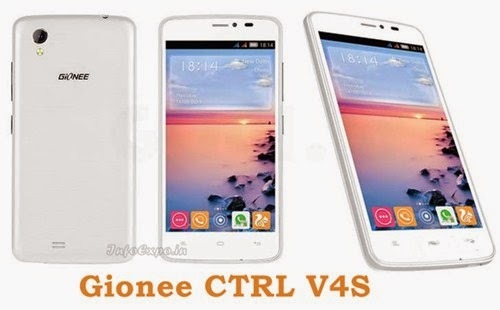 Gionee CTRL V4S runs on Android KitKat.